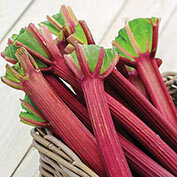 Chipman's Canada Red Rhubarb | Gurney's Seed & Nursery Co.
Light Required: Full Sun until the middle of June. Comments: Large stalks, yields 4 - 12 lbs. per crown at maturity. Color won't fade during cooking. Sweetest of all, needs less sugar when baking than others. Harvest well into Fall, seldom goes to seed. 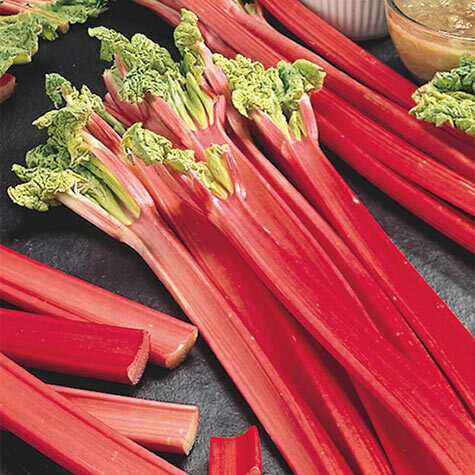 Rhubarb is a long lived perennial. Dependable producers of red stalks. Simmer, boil or bake. Perfect for preserves. Takes 2 years before ready to harvest. Apply Winter mulch in late Fall. 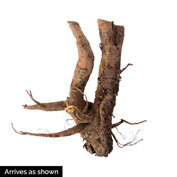 Separate them into several small sections; each section should have at least 3 leaf buds and plenty of roots. Each Fall, top dress soil with a 3 inch layer of well-rotted manure or compost; apply along side and directly over the roots. Leaves of rhubarb are poisonous. Unable to ship to: AE, AK, GU, HI, PR.